Before I begin I would like to acknowledge the traditional owners of the land on which we meet, the Wurundjeri people, and pay my respects to their elders past and present. It is an honor to represent the Chief of Army here today at this General Sir John Monash Commemorative Service, held in memory of one of Australia’s most pre-eminent military commanders. General Sir John Monash was born in Melbourne in 1865 and educated at Scotch College and then the University of Melbourne graduating with three Bachelor Degrees in engineering, law and arts. It was at University that he first became interested in military matters, initially applying unsuccessfully for a commission in the engineers but subsequently joining the Metropolitan Brigade of the Garrison Artillery which was engaged in port defense. At this early stage he was already engaged in combining his academic knowledge with his military career, bringing his engineering and mathematical skills into the science of gunnery. Monash enjoyed military life, and in particular the control of men in a hierarchical structure. This appealed to him in that a commission carried, at the time, much more status than the professions of engineering and teaching. is early military life, however, progressed slowly. Interestingly in these early stages, it was noted by many, that he had an excellent rapport with the lower ranks and soldiers. This obviously served him well in the future where his positive influence over soldiers was a key component of his successful leadership style. Another key component was his early exposure to a broad number of appointments in artillery, infantry, intelligence and engineers. By 1914, he had in civilian life established himself as a pillar of Melbourne society. He lectured in engineering at university, was involved in a number of community activities including the boy scouts, and held a number of prominent appointments such as chairman of the graduates association and President of the University Club and Victorian Institute of Engineers. At this time his military career was also beginning to blossom, with his appointment as Commander 13th Infantry Brigade. His conduct of exercise maneuvers in this appointment won the approval of the visiting General Sir Ian Hamilton. He had won the first army gold medal essay competition and had wide acclaim for his pamphlet ‘100 hints for company commanders’ which became a basic training document for officers training for or occupying these critical appointments. At the outbreak of war, Monash was promoted to the rank of Brigadier General and appointed as Commander of the Victorian-based 4th Infantry Brigade. His Brigade trained in Egypt and landed at Gallipoli on the morning of the 26th April 1915 having been held in reserve on the 25th. For the landing his Brigade was given the centre left sector including responsibility for Pope’s Hill and Quinn’s Post. The Brigade was involved in a number of significant actions including the night offensive on Baby 700 on the 2nd of May, and the defensive battle following the Turk offensive on the 19th of May. Through these actions the subsequent ensuing battles over the next few months, the Brigade suffered heavy casualties before it was pulled back to Egypt in early December. Monash was promoted to Major General in July 1916, and placed in command of the 3rd Australian Division. The Division was involved in months of serious fighting and trench warfare in France from November 1916 until they progressed to full scale operations from June 1917 onward. After his brilliant blocking of the massive German offensive from 21 March 1918, Monash was promoted in May to Lieutenant General and appointed Commander of the Australian Army Corps. It was during this period that he planned and directed a series of determined and effective actions commencing in July 1918, with the blueprint for modernized operations at Le Hamel. The success of this engagement gave the British High Command great confidence in Monash and led to the masterful and meticulously planned ‘Battle of Amiens’ in which two German armies were defeated (and a further two reserve armies were put out of commission temporarily) inside 48 hours from 8 August. A 100-day, Monash commanded blitzkrieg ensued, resulting in the defeat of 39 German Divisions and culminating in the penetration of the Hindenburg Line by 5th October 1918. Monash’s exceptional knowledge and thirst for an understanding of new technology allowed him, in the pressure of the war years, to absorb all the important developments and apply them in combination on the battlefield. This gave the Australian Corps that he commanded a significant advantage over the other Allied Corps, and of course, the enemy. Monash approached battles as he approached engineering projects in his civilian employment---by coordinating all the key elements in great detail. He also understood the broader ramifications of running a huge organisation; he was a corporate thinker. Most importantly, he encouraged a working environment in which innovation was allowed. Monash promoted professional debate and gave commanders freedom of action. He constantly and effectively used staff conferences to coordinate all the arms and services. Under his leadership, for the first time, all fighting elements and supporting services had a fair comprehension of each other’s operational methods and goals. He institutionalized what we now routinely call joint and combined arms warfare. However, once the enemy was engaged he insisted there was but one plan and set of orders, and they had to be adhered to. Before Monash took command of the Australian Corps in May 1918, he knew well the problems of confusion on the battlefield, having experienced the fighting on Gallipoli, in Flanders and on the Western Front. His emphasis on detailed and coordinated planning was intended to reduce this level of confusion and uncertainty, to ensure success. General Sir John Monash passed away on 8 October 1931. However, his impact on the Australian military was far reaching and continues to this day. Significantly, given Australia’s status as a fledgling nation in the early part of the 20th century, Monash was the first Australian to fully command Australian forces and he took, as many subsequent Australian commanders did, a relatively independent line with his British superiors. 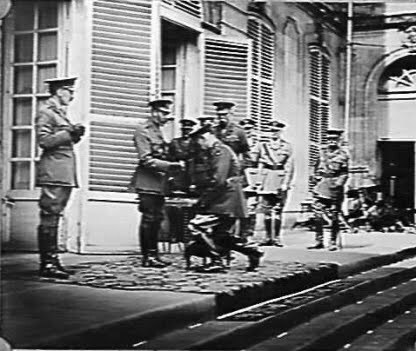 This approach, which reinforced a general sense of Australia’s difference from other nations that was generated by the performance of our soldiers in World War I, engendered an independence of mind and spirit in our military forces that continues to this day and which has heavily influenced the growth of Australia’s sense of self since World War I.
Monash also promoted the concept of the commander's duty to ensure the safety and well-being of his troops to a pre-eminent position applying a philosophy of "collective individualism". This care for soldiers and desire to encourage them to exercise their initiative set the standard for the Australian Army ever since and is reflected in its values of courage, initiative, respect and teamwork. Finally, and perhaps most significantly, he demonstrated the benefit of thorough planning and integration of all arms of the forces available, and of all of the components supporting the front line forces, including logistical, medical and recreational services. In this sense, Sir John truly was the father of modern combined arms warfare. 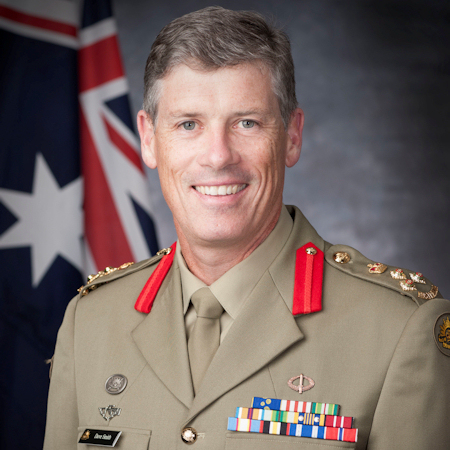 Today’s Australian Army, adhering to Monash’s principles, is acknowledged as one of the very best trained and skilled fighting forces in the world. Monash was not only a man for his time, but also a man for the future; a man judged by history as an inspirational leader. His philosophies and ideas are clearly evident today in the embodied character, ethos and values of our modern Army. Monash was a free thinker, a meticulous planner, an innovator, and a man who inspired confidence. He took to his military career, which spanned more than thirty years, with passion and with the same academic zeal that was evident in his commercial life. He also demonstrated the value of a broad academic and professional background, and education. Sir John Monash’s legacy is enduring and powerful. He is truly, for all times, a great Australian.